Okay, hi. 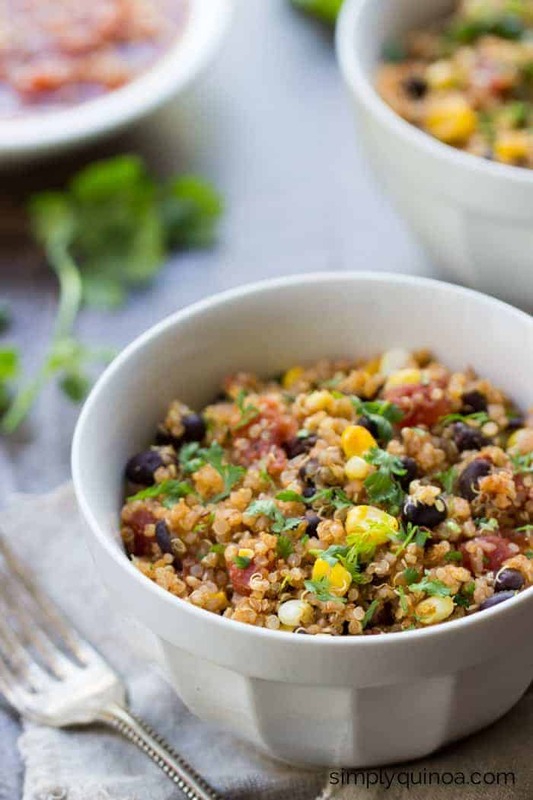 I just have to dive right in today and talk about this Mexican quinoa. 5 ingredients + 15 minutes = best dinner ever. This dish reminds me of the Mexican-style rice you can find at some restaurants. You know the type, it’s flavorful, with a reddish hue, a little crunchy and full of flavor? That’s the one. 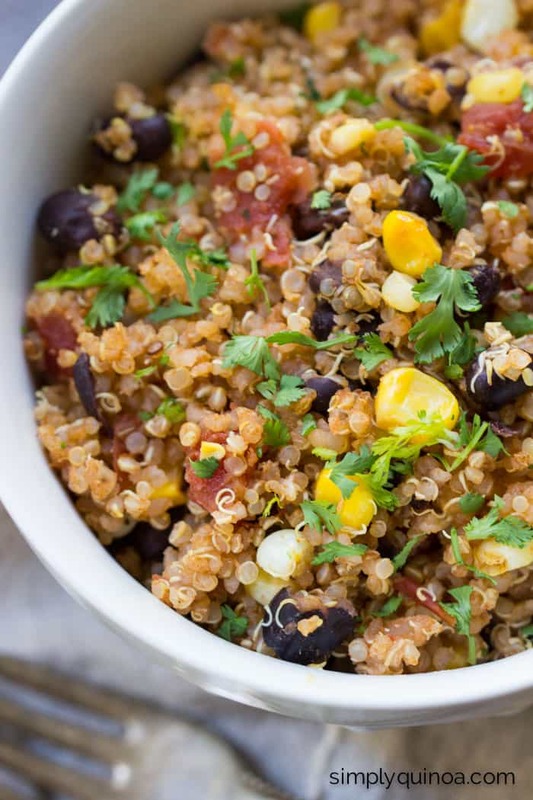 This quinoa is similar, but way better. Now granted, I’m probably a bit biased (quinoa > rice all day every day. ), but I’ve managed to pack in a ton of flavor using just five, super basic ingredients. 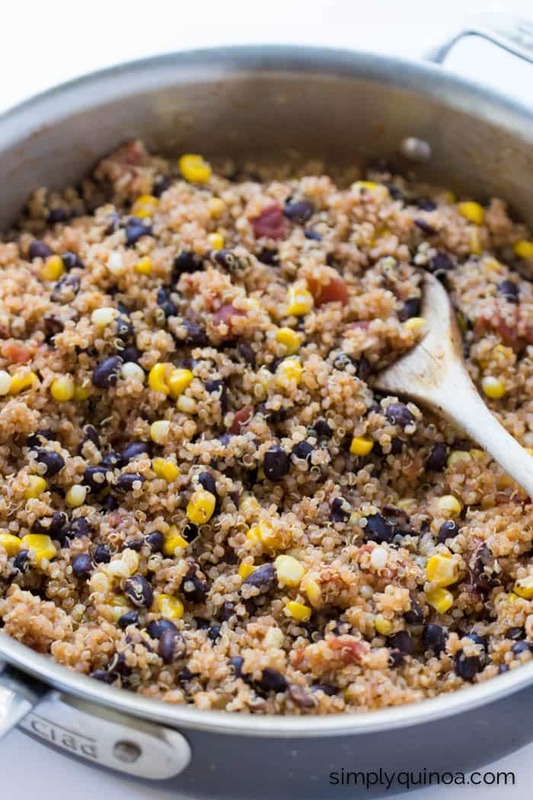 Plus, there’s more goodies in here – think corn + black beans – making this dish a bit more robust and filling. As I started researching this post, I wanted to find out how they made Mexican rice. As it turns out, it starts with a boat load of oil. Basically, you fry the rice in the pan, then add stock, tomato sauce and spices, and let rice cook away. The end result? A big pot of fluffy red rice. Here’s the thing…when you try it with quinoa it totally doesn’t work. I mean epic failure. I followed a recipe I found online and ended up with a huge pot of mushy quinoa. It was like pig slop. Not good. 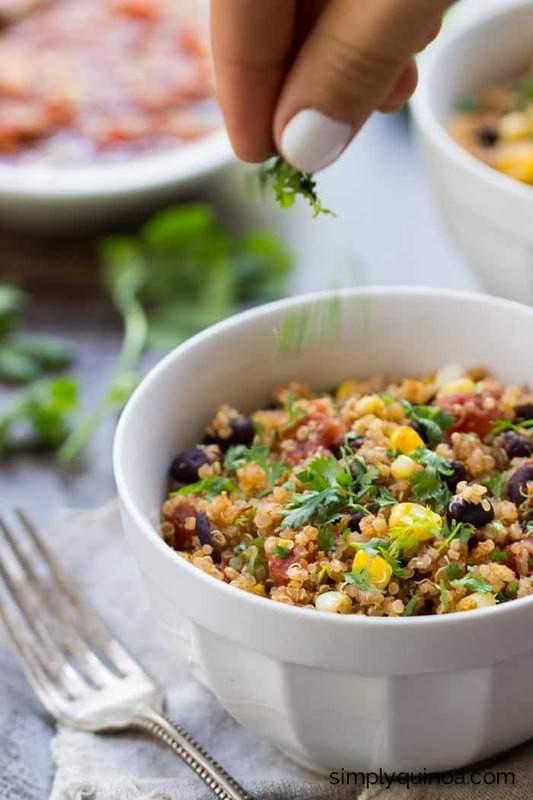 So word to the wise: don’t try to make Mexican quinoa the traditional rice way. Normally, a few failures like that (did I mention I tried it 3 times) would have me abandon all hopes and move on. Not this time though. 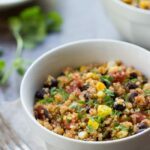 I was determined to make a simple Mexican quinoa that was NOT a glob of mush. Turns out, it’s not that hard. Should have trusted my instincts and followed the same principle I used for my quinoa fried rice to begin with. Lesson learned. So here’s the deal with this dish. You really only need 5 ingredients. From there you essentially just mix it all together in a pan and call it a day. How-ev-er there is one trick I have to avoid the mush: start with cold quinoa. This recipe couldn’t be more straightforward. You just add your corn and black beans to the pan, cooking them until the corn in tender. Then add your quinoa and cumin. And finally stir in your salsa and you’re done! I garnished mine with some cilantro because I’m obsessed, but feel free to skip that part. Most importantly tho…dinner with 5 ingredients in under 15 minutes. Major win! Add quinoa and cumin and stir to combine. 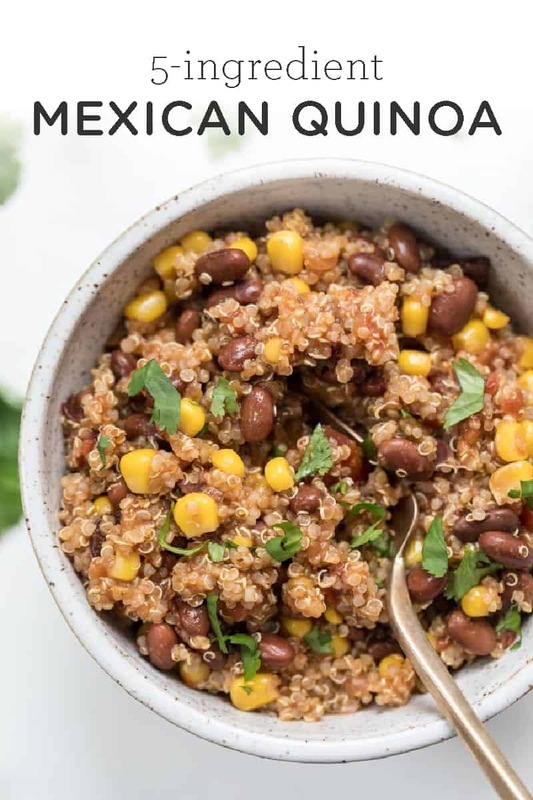 Cook until quinoa is hot and begins to get a little crunchy, stirring constantly, about 3 minutes. 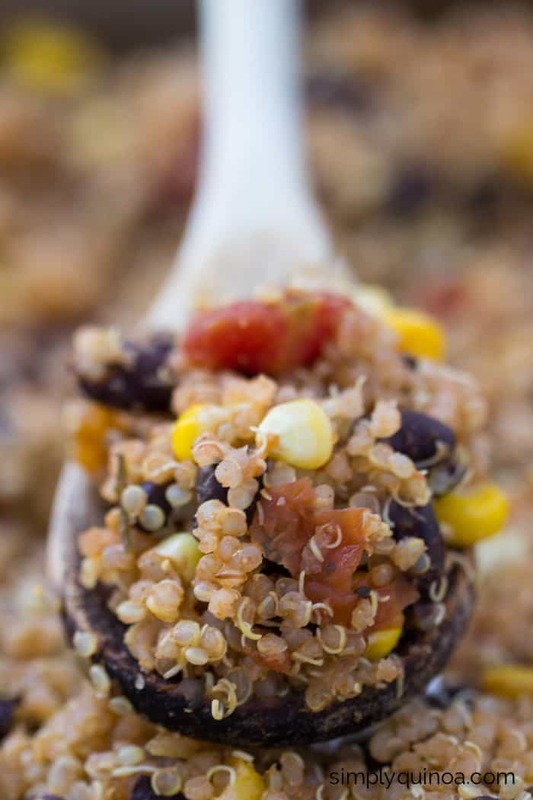 Stir in salsa and cook until everything is combined and quinoa begins to dry out a little more, about 2 minutes. Remove from heat and let cool for 5 - 10 minutes, then fluff with a fork and serve. Garnish with cilantro is optional. This post was sponsored by Ancient Harvest, but all opinions are my own. I only share brands that I am passionate about, so thank you so much for supporting them! 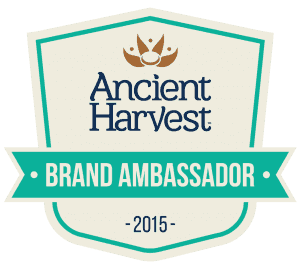 Learn more about Ancient Harvest on Twitter, Instagram, Pinterest, and Facebook. Very easy to make and fast. I used Traders Joe’s Salsa Verde, excellent, especially if you like spicy with a kick. Oh yum that sounds great!! I have a friend who needs gluten free stuff. She said she wasn’t a quinoa fan but loved this. We use as a chip dip. I use a smallcan of mexican corn that has red peppers in it. It is an attractive, colorful dish! Hi, thank you for the recipe. I have a question about salsa. Most jar salsa are liquidy. Won’t that turn the preparation mushy? How do we avoid that? What kind of salsa do you use/recommend? Thanks. I find that most jarred salsas are actually on the thicker side 🙂 But if you have one that is liquidy, you could strain it first! I made a batch on Sunday to portion out for lunches this week. It’s so tasty! I beef it up with half an avocado and a squeeze of Sriracha. My tastebuds are thanking you! Such a great addition to lunch!! Just made it! I used black and pinto beans, doubled the corn, and seasoned to taste. I also used fresh salsa from the deli instead of the jar stuff. I eyeballed the quinoa to get the right proportion of beans, salsa and quinoa. Easy and delicious! Lots of flavor for the time it took to prepare it. This recipe will become a lunch staple for me. I make a similar dish and it’s perfect for meatless Mondays (or any day you want a healthy vegan meal). I love slicing fresh avocados on top, or adding cheese (one of my daughters insists that cheese is its own food group and I can’t hep but agree). I tried quinoa for the first time about a year ago and now buy it in five pound bags. I can’t get enough! 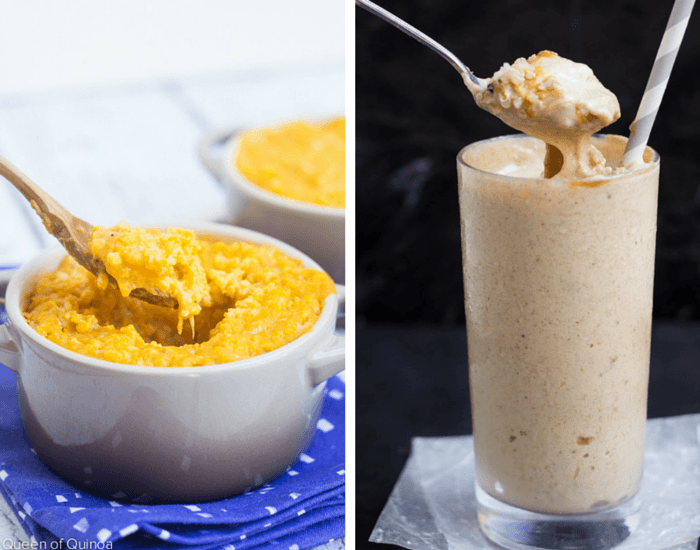 Would be delicious with avocado – YUM! 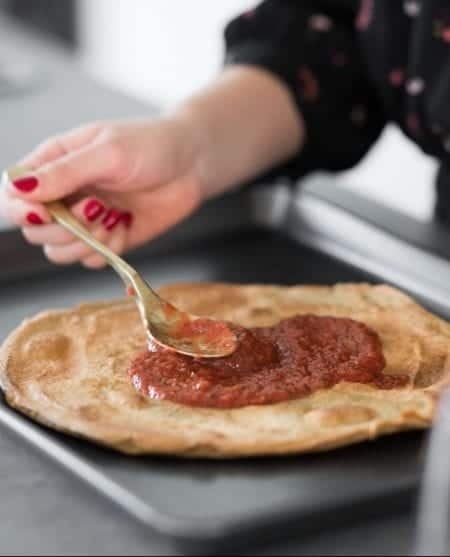 Has anyone MADE this recipe? I read many compliments, but no one claims they actually made it. This was soooo delicious, I scraped my bowl because I didnt want it to be over yet. I added a few shrimp, a dollup of sour cream and a little shredded cheddar and it was awesome but tasted delish even without the extras. I love this recipe! I added my own creativity and it was truly delicious! Thank you for the dinner inspiration! 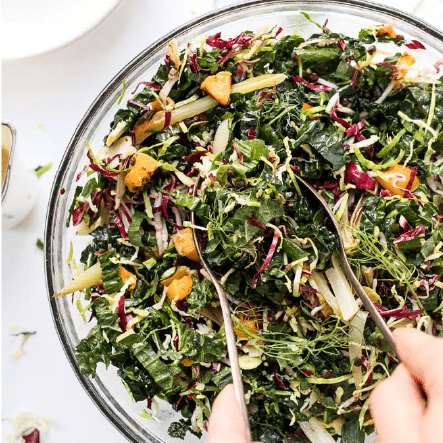 I shared this recipe on today’s blog post! These may seem like silly questions, but I’m still finding my way as a cook… Do I need to add oil to the pan first? And how about draining or rinsing the beans? Following this recipe very literally would tell me no to both of those questions but I’m not sure of any of those things are just a given? Thanks in advance! Thank you!!! It did!!! 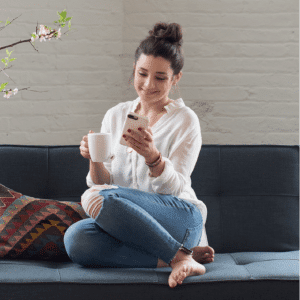 By the way, I tried it before I received your reply and because I wasn’t sure, I used a very light coating of olive oil and I drained, but did not rinse, the beans. I also forgot to make he quinoa ahead of time so I let it cool as long as I could wait, but it was still warm. Despite all of those things, it was still delicious! I’m very eager to try it exactly how it is meant to be done! Thanks again! Looks great, thanks! I’d like to make this ahead of time for work lunches. Are you guys eating this hot or cold? Great quick dish Alyssa! Yummy and nutritious! 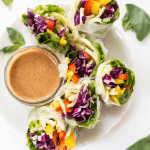 Looks wonderful, healthy AND easy! I’m in!